Prolific Italian variety prized for its gigantic sweet red fruits. 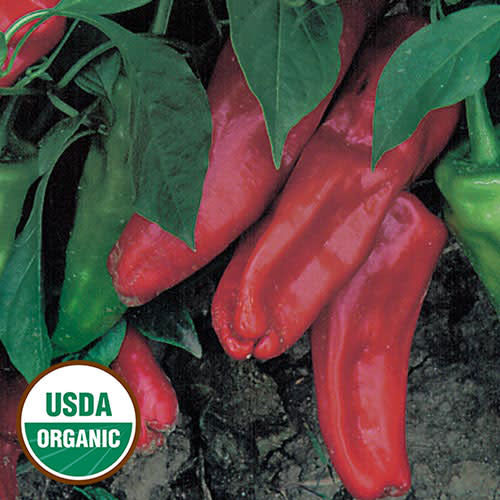 Delicious 12" long peppers are excellent eaten fresh or fried. 70-90 days from transplant. Sweet.